I have recently learned that as many as 3,500 horses are tethered across the UK at any one time. I have also learned that, despite some guidelines, a majority of these animals are tethered in unsuitable conditions with severe and often cruel restrictions of their natural freedoms. Moreover, these animals are often tethered in locations that put them and the public at risk, such as roundabouts or by busy roads. The Government has committed to protecting the fundamental welfare of all animals with the Animal Welfare Act of 2006. Section 9 of the Animal Welfare Act places a duty of care on the public to ensure they take reasonable steps, in all circumstances, to meet the welfare needs of their animals to the extent required by good practice. need to be protected from pain, suffering, injury and disease. I and many others believe that long-term tethering is a restriction on the natural liberties of animals and it should be made illegal to tether horses, donkeys, ponies and their hybrids for more than 24-hours. 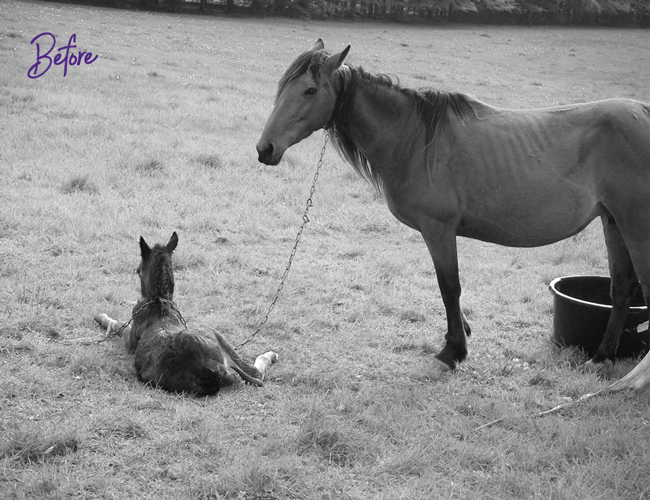 Tethering often infringes on the animal’s need for a suitable environment, the need to be able to socialise with other horses and it can often cause pain, suffering and psychological damage. In every case where a horse is tethered for an extended period of time it can seriously inhibit the horse’s need to exhibit its normal behaviour; in short, to run, graze and be free to act and live as a horse naturally should. This sentiment is not only supported by concerned individuals; in the ‘Code of Practice for the Welfare of Horses, Ponies, Donkeys and Their Hybrids’ (December 2017), published by the Department for Environment and Rural Affairs, it states that ‘tethering is not a suitable method of long-term management of an animal’ (Annex 1: Tethering, p.32). Where this Code of Practice does indeed provide guidelines and some recourse for those building a case against poor treatment of horses, it does not draw a clear legal line under what treatment is unacceptable. I expect you find the cruel treatment of horses as upsetting as I do, but by not having more precise regulations around the practice we are allowing this cruelty to continue all over the UK. Write to the Secretary of State for Environment, Food and Rural Affairs to urge him (The Rt Hon Michael Gove MP) to follow up on the values written in his department’s report and implement a law change that restricts the legal amount of time a horse can be tethered to, at most, 24-hours. Urge him to put a complete ban on tethering animals in unsafe locations such as roadsides, roundabouts and other public land that may pose a risk to both animal and the public. Enforce a policy which states: ‘if your only recourse for keeping a horse is tethering, you should not be permitted to own that animal’. It is time the UK took a firm stance against the unnecessary neglect and abuse horses face at the hands of unfit owners. I hope I can count on your support on this vital issue and I look forward to receiving your response. 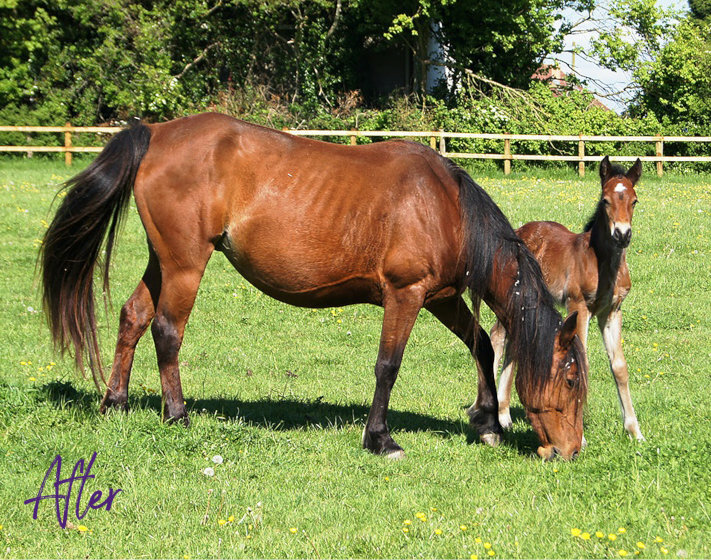 By adding your voice to the campaign you can help to make ministers take notice and impose stricter laws on irresponsible owners of horses and ponies across the UK. You can help make a real change and protect as many animals as possible from suffering. Will you join us in the fight to #BreakTheChain and put an end to abusive tethering? HorseWorld Trust (Reg. Charity No. 1121920) would like to keep you up to date with this and other campaigns through our biannual newsletter. If you are happy for us to do this, please select your preferred method of communication. To donate to the Anti-Tethering Campaign, please click here. © HorseWorld 2019. All rights reserved. If you have any questions about this campaign please contact us.